To call Elijah Wood’s body of work interesting would be a massive understatement. While he may be best known for his starring role in the Lord of the Rings trilogy, Wood has recently compiled a fascinating portfolio of projects, including his surreal role in the series Wilfred, his voice role as Wirt in the critically acclaimed animated series Over The Garden Wall, and his work on horror films as the founder of the production company SpectreVision. The company recently collaborated with Ubisoft to create Transference, a VR horror experience with Wood acting as the creative director. During an exclusive interview at E3 2018, Wood discussed his recent interest in virtual reality and his unique role in creating Transference. Innovation & Tech Today: What was the initial inspiration for Transference? Elijah Wood: Well, we were interested in working in VR. When I say “we,” I’m referring to my company SpectreVision. We produce horror genre films and we were just interested in the medium of VR for exploring unsettling experiences because of its immersion. It sort of lends itself to the horror genre really well in terms of eliciting emotional response. And so, you know, through meeting the folks at Ubisoft and their being interested in a partnership on something in the VR space, we collaborated on a multitude of ideas and then zeroed-in on what ultimately turned into Transference. 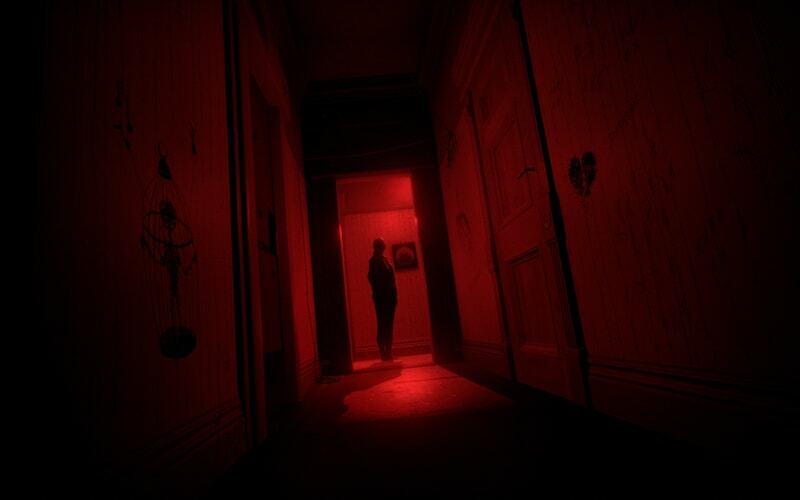 I&T Today: So many VR horror games are based around jumpscares and cheap gimmicks, while Transference is definitely more about making you feel unsettled. Was it intentional to make the project stand out from all the other VR horror games being released? Elijah Wood: I think we were always trying to do more than incorporate things we’ve seen from other games. It was to avoid common tropes. So sort of to your point, a lot of horror games are based on jumpscares and have a typical horror structure, or they’re based on a pre-existing IP. We were trying to avoid tropes and elements that we’ve seen that felt familiar. To try and strip those things away to create something that felt fresh and new. I&T Today: SpectreVision has mostly focused on creating films before this project. What made virtual reality seem like the next natural step? Elijah Wood: I don’t know that it felt like the next natural step so much as just an interesting medium for narrative and storytelling. It’s very much the Wild West in regards to exploring what VR is capable of doing. And certainly trying to crack the narrative within the context of VR. So we were excited about all those things and there’s something about, again, that notion of being immersed in something that allows you to toy with emotional responses and feelings and atmosphere in a way that a movie isn’t capable of doing in the same way. I&T Today: When did the collaboration with Ubisoft begin? Elijah Wood: So we were introduced to Ubisoft at E3 a number of years ago through a mutual friend that knew that we were interested in VR. We made the connection and we had a few discussions about what we thought would be interesting to explore in the VR space. Initially, it was just a few ideas of experiences, not even necessarily a game. And we went out to Montreal to get a tour of Ubisoft and meet the teams. We also pitched a bunch of ideas and shared ideas together and, out of that, we realized, “Well, this could be a really interesting partnership,” where both teams are bringing something to the table and a true collaboration was at the core of that. I&T Today: You’ve worked on a few games before, providing voices for a number of characters. How big of a jump is it to go from that to your current role as creative director? Elijah Wood: Oh massive. As a voice actor in a game, you’re facilitating somebody else’s writing. You know, no less fun. I got to work with Tim Schafer on Broken Age. I grew up playing Tim’s games so I love that and I love being able to work on characters in the context of games. But this is entirely different. Getting to be a part of a creative team, you know, all of us getting to lend our creative input and ideas equally, it’s why I love making films. The most rewarding aspect of filmmaking is the creative process: the unification of a group of people around a core idea and everyone trying to make that thing come to life in the best possible way. And I enjoy that process. I&T Today: Playing through Transference, I noticed it almost felt like acting out a film. Was that intentional for the experience? Elijah Wood: No. We talk about it almost as a film that you are an active participant in, but that is sort of irrelevant. In a way, all we wanted was to tell a narrative that felt emotional, from an empathetic place, and also from a sort of uncomfortable fear-based place that you understand the narrative throughout the context of exploring within the game. If that feels cinematic, awesome. And in a lot of ways, we’re bringing a lot of cinema elements especially with our sound design and music. But I don’t know if that was the intention from the onset, to create a movie to play, it just happens to feel that way because of the parties involved. Transference is currently available on Steam. Next article Were You a Victim of the #10YearChallenge?